The Codex Gigas is the largest 13th-century manuscript in the world - so large that it takes at least two people to lift it. 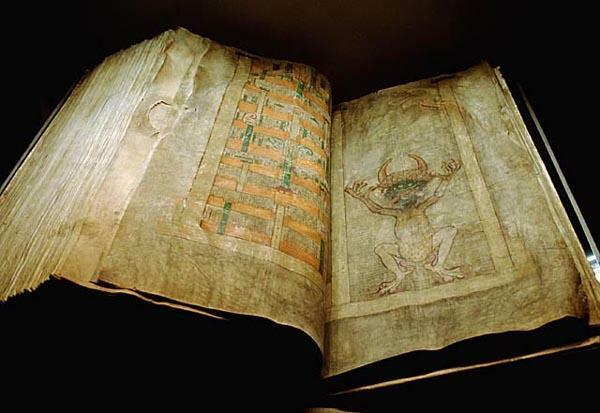 It also called The Devil’s Bible because it contains a large, full-page portrait of the Devil and is said to have taken more than 160 animal skins to make it. 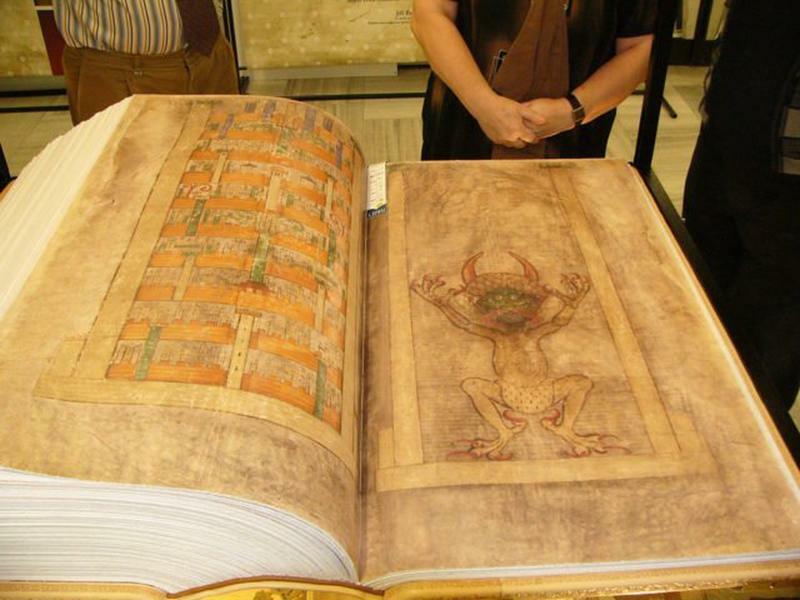 The codex is 92cm tall, 50 cm wide, 22 cm thick, and weighs 74.8 kg. It has 620 pages and is bound in a leather-covered wooden folder that is decorated with metal shaped designs. It contains a number of parts as well as many historical documents - the complete Vulgate Latin translation of the bible, The Old and New Testaments, The standard textbook for teaching medicine in the Middle Ages known as Ars medicinae, the Chronicle of the Bohemians, a calendar, two works of Josephus Flavius and more. Everything in the codex is written in Latin. 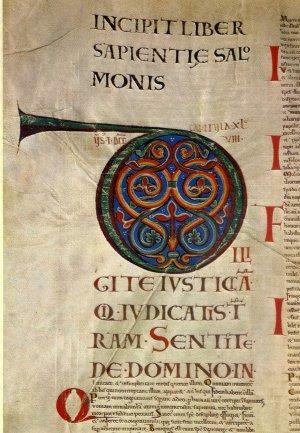 The manuscript is thought to have been created in the Benedictine monastery of Podlažice in Bohemia (Czech Republic), and it is believed that the creator of the Codex was the Benedictine monk Herman the Recluse who was a resident of the monastery. 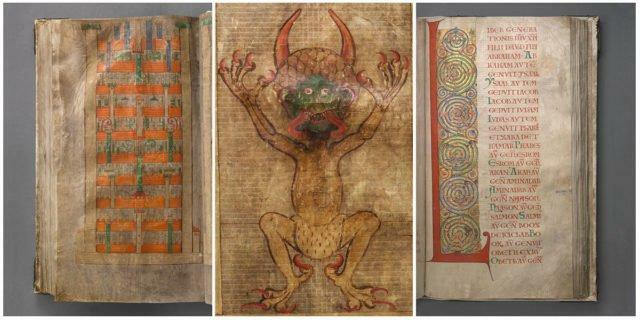 Legend has it that the monk wrote the manuscript in just one night with the devil’s help. 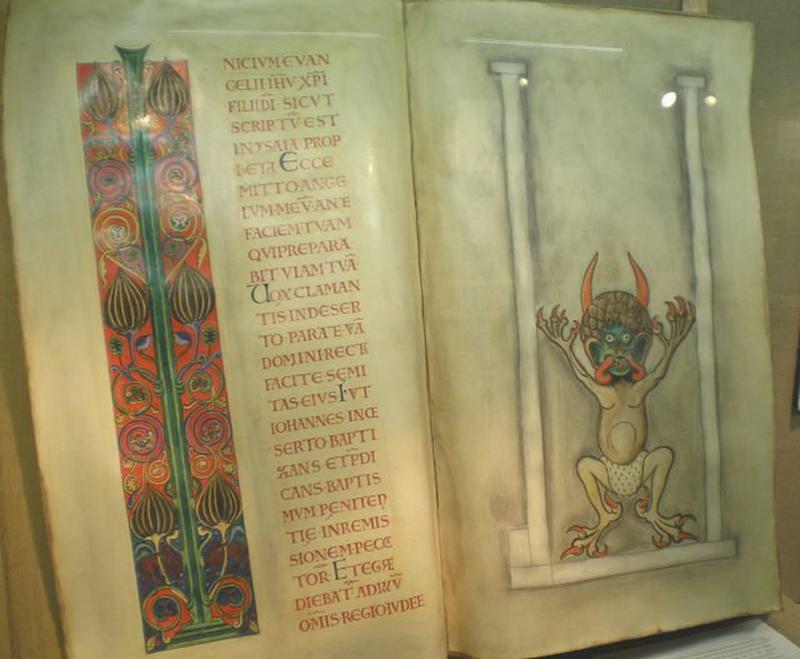 Because he broke his monastic vows he promised to create a book to glorify the monastery forever, but when he became sure that he could not complete this task alone he prayed to Lucifer to help him in exchange for his soul. The Codex Gigas was kept in the library of a monastery in Broumov from 1477 to 1593, then, in 1594, it was taken to Prague to form a part of the collections of the Emperor Rudolf II. At the end of the Thirty Years’ War in 1648, the entire collection was taken as war loot by the Swedish army. 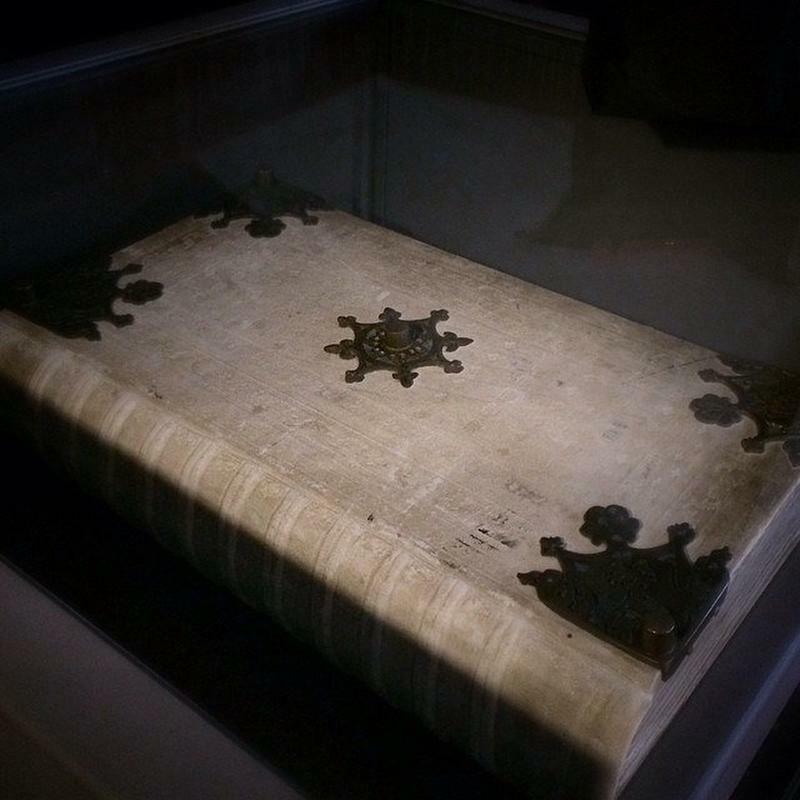 From 1649 to 2007, the manuscript remained at the Royal Library in Sweden and from 2009 is preserved at the National Library of Sweden in Stockholm as part of the library’s Treasures exhibit, on display for the general public.